Photography and text-based web publishing are fantastic tools for communicating ideas across the world. However, they have their limitations. I think in a 3D moving picture mindset, and therefore, it made sense to start communicating using moving pictures and spoken words. 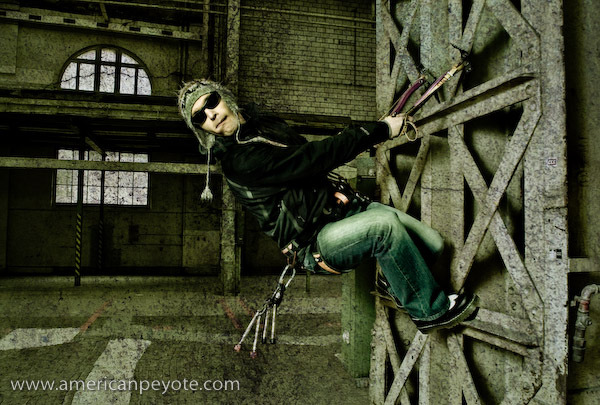 Concept to Photo – Urban Dry Tooling is a video tutorial about starting with a concept, and then translating that inspiration into a final photo. 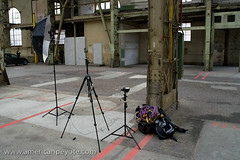 This isn’t a new idea, there are many photography related video tutorials on the web. However, I rarely find one I want to watch for more than 30 seconds, because they’re either boring, or filled with the least relevant information possible. Another problem is that in many ways the photography tutorial video genre has become a dumping ground for marketing videos from photographers trying to emulate Chase Jarvis – the famous commercial photographer from Seattle who is often credited with starting the photo-video marketing movement. However, he’s a unique gem in the chaotic video landscape of the internet, and his videos have yet to be matched for style or content. I’m not a photographer posting a video to show off my equipment and pretend like I have a cutting edge production studio. I’m a guy in an apartment with an old G4 Macintosh and an old Minolta 7D DSLR who likes to think up concepts and express them. The concept behind this video is simple, compress my creative and photo production process into the upper attention span limit of an average internet video viewer. This video tutorial was created to fulfill three functions: first, as an exercise for me in producing a video I would want to watch (but I’m weird so this probably doesn’t apply to the average internet viewer). Second to help me understand my creative workflow by packaging it in a video form (teaching to others is the best way to learn). And Third to give other photographers, creatives, and anyone else interested in a new (or old) perspective on the creative process as applied to photography. Audio was recorded using my Zoom H4, screen capture video was obtained using Snapz Pro X, music was obtained from Kevin Mcleod’s music collection, and the rest is just still images and titles. Some say that soon cameras and camcorders will be one and the same, and they’re right. 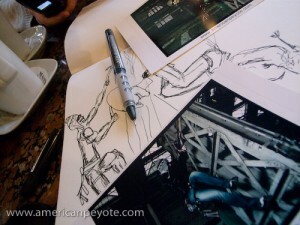 But in transitioning to the video world I wanted to start simple, and that meant using primarily still images.